Thursday, June 30, 2011 at 12:16 p.m. In just a few hours, NJN as we know it will go dark. I, for one, will miss it. It played an integral role in developing my awareness of what it means to be a New Jerseyan – and a New Jersey pollster. My first political memories seem to revolve around television. On a hot summer day in 1974, my little brother and I sat in front of the TV in our grandparents’ Camden row home. I was only 9 years old, but my grandfather said, “You’ll want to remember this. It’s history.” On the screen was President Nixon, announcing his resignation from office. I became more aware of politics as time passed. I read the local papers, the Philadelphia Bulletin where my father worked on the production side and the Courier-Post. I tracked the 1976 presidential race, followed the headline-making exploits of Philadelphia’s indomitable mayor Frank Rizzo, and was vaguely aware that my local Congressman, Jim Florio, wasn’t particularly enamored with Camden’s mayor Angelo Errichetti, who was later convicted in the Abscam sting. But, at the age of 12, I still didn’t know much about the governor of New Jersey. In fact, I’m not sure I could have even named Brendan Byrne at the time. That changed in the spring of 1977. Florio, along with nine other Democrats, decided to challenge the incumbent. I was interested to see how my congressman would do. So on primary night, I turned to the one source that continually reported the vote results – NJN. And I haven’t stopped watching since. NJN introduced this South Jersey boy to New Jersey. And it wasn’t just the news. I was fascinated by documentaries on New Jersey’s history, natural resources, and culture that you couldn’t find anywhere else. This could be something as monumental as “Ten Crucial Days” – documenting how New Jersey played perhaps the most pivotal role of any state in our country’s eventual independence. Or it could be highlighting the Garden State’s natural wealth, from the Highlands to the Pinelands to their recent show on the Raritan River. Or it could be something as simple as Homeless Tails – the short segment that provided a forum for animal shelters from across the entire state to find homes for their strays. Those who follow the Monmouth University Poll, know that we focus on understanding the state’s quality of life as much as we track political approval and election races. Perhaps moreso. As a pollster who focuses on New Jersey, I see in stark numbers how our state is divided into camps drawn to the two major cities across our borders. As a state, we need to do everything within our power to overcome our natural tendency to balkanize. Obviously, NJN alone could never provide the cohesive state identity that New Jersey sorely lacks. But its influence went far beyond the absolute number of viewers for any given broadcast. What was shown on NJN had a multiplier effect in other media. I found it interesting that no South Jersey Democrat voted in favor of the transfer, while their erstwhile coalition partners from Essex and Hudson counties did. I think those of us who hail from the southern part of the state are more sensitive to this issue of state identity. For many in the north, anything that happens south of Union County is of little relevance. As I mentioned, my first memory of NJN was watching primary night coverage. I’m proud to say that, 34 years later, I was able to contribute to that coverage on their final election night broadcast. 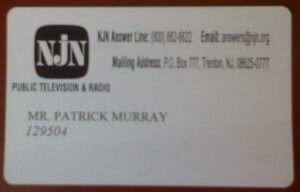 During the years I have appeared on NJN, I’ve come to know a top-notch team of professionals, both in front of and behind the camera, who were committed to telling the story of New Jersey. 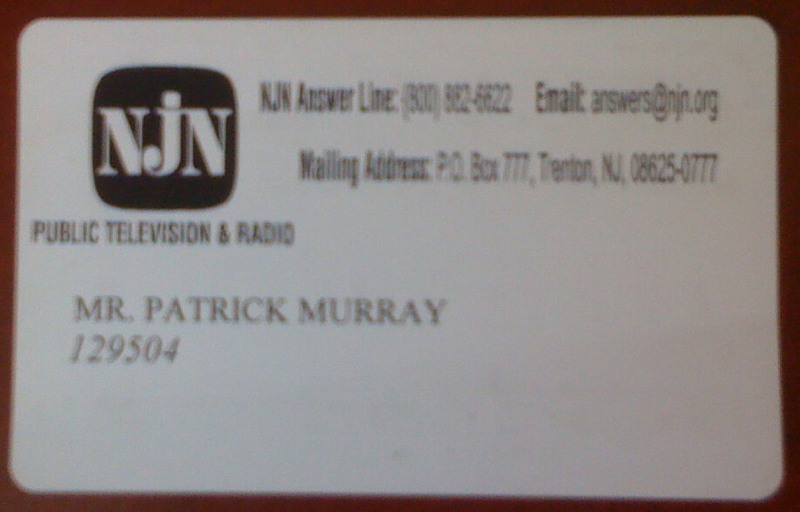 I hope its successor, NJTV, fully appreciates the legacy it inherits.